Omega has bestowed its latest generation Master Co-Axial movement on the Speedmaster, along with a moon phase so detailed it reveals an astronaut’s footprint on its surface. You’ll find details and the price below. 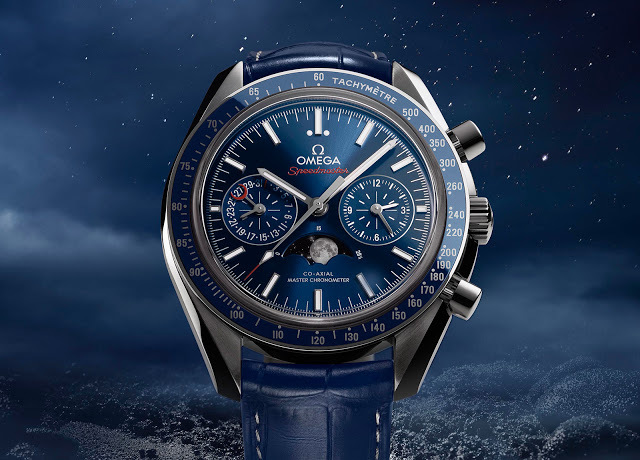 At Baselworld 2016 next month Omega will unveil the Speedmaster Moonphase Master Chronometer, an enhanced version of its classic with a moon phase display at six o’clock. 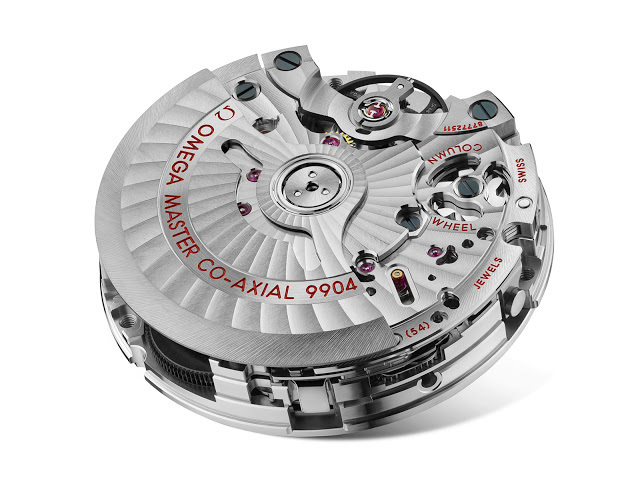 It’s powered by the newest Omega movement, the calibre 9904, which includes all of the brand’s innovations, including exceptional magnetism resistance and an Si14 silicon hairspring. Though the look is instantly recognisable as a Speedmaster, the new moon phase model is clearly a modern watch. Stainless steel and 44.25 mm in diameter, the Speedmaster Moonphase has a blue ceramic bezel insert, matched with a metallic blue dial. Two sub-dials give the face a symmetric layout: the left register is for the constant seconds and date, while the right sub-dial combines both the hour and minute counters. The moon phase display features a photorealistic depiction of the moon, one so detailed an astronaut’s footprint can be seen up close. This is not the first Speedmaster moon phase chronograph, however, it’s the first with an in-house movement; earlier generations were powered by the hand-wound Lemania 1872. The calibre 9904 inside is a Master Co-Axial calibre that is METAS certified, having passed tests conducted by the Swiss Federal Institute of Metrology (METAS). And being a Master Co-Axial means it is magnetism resistant to over 15,000 Gauss – an industry record – thanks to special non-magnetic alloys used for its escapement. Like all Omega watches with a silicon hairspring, this has a four year warranty. The retail price will be SFr9400, or S$14,600.